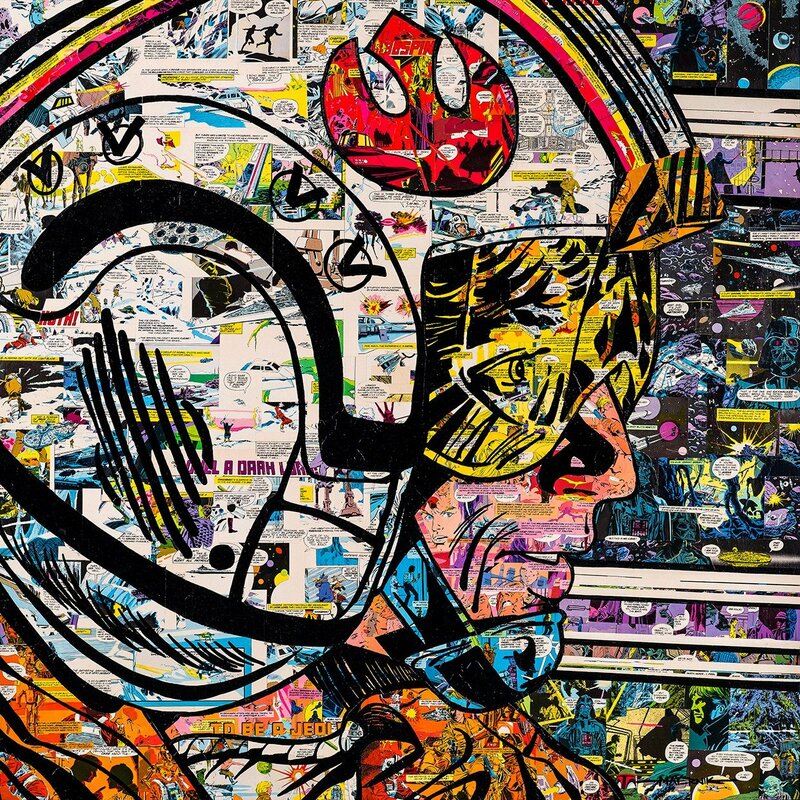 This work titled “Red Five” is 36×36″ and is comprised of only the Marvel Special Magazine Issue No. 16 which is the illustrated comic of the Empire Strikes Back circa 1980. The artwork was on display at the @grackentucky gallery for their About Face show in October of 2017. No additional comics from other titles were used. “Red Five” also includes a custom black gallery frame that increases the overall dimension to 42”x 42”. SKU: HERO-RDFV. Category: Originals. Tags: Comic, Comic Book Art, Hero Collage, Limited Edition, Marvel, Pop Art, Poster, starwars.